Wendy Orr was born in Canada, and grew up in France, Canada and USA. 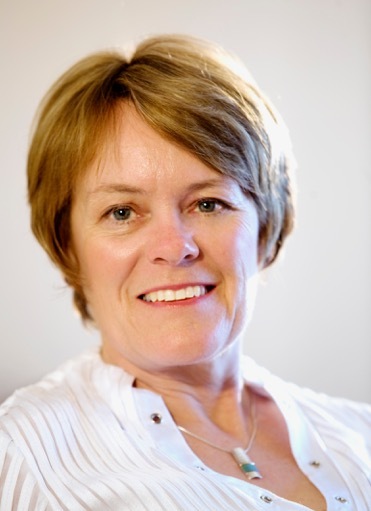 After high school she studied occupational therapy in England, married an Australian farmer, and moved to Australia. She and her partner had a son and daughter, and after 20 years of farming, moved to live on five acres of bush on the Mornington Peninsula. 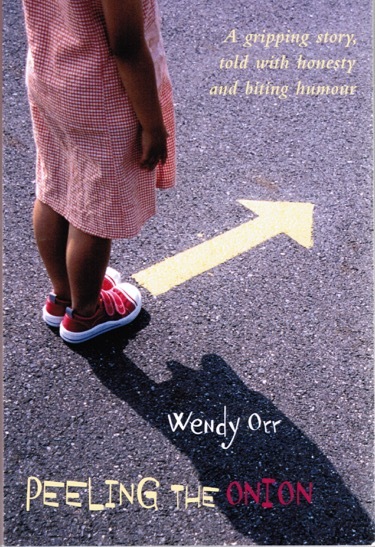 Wendy has written more than 30 books, won awards in Australia and around the world, and had her work translated into twenty-four languages. 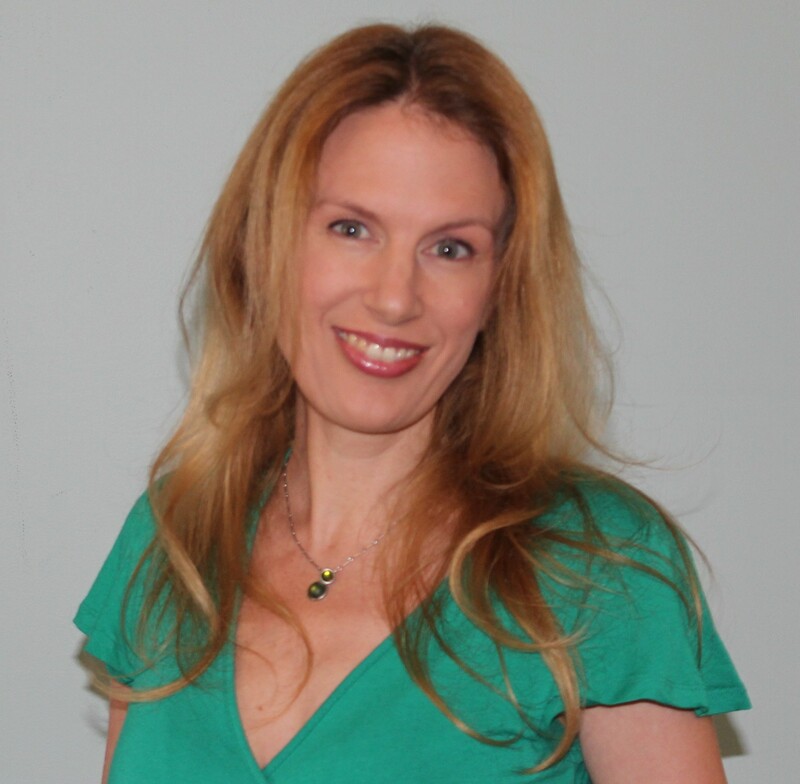 She is well known for Peeling the Onion, a YA novel based on her own car accident. 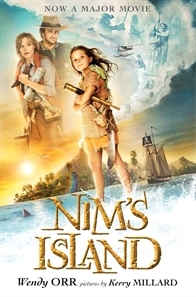 And in 2008, Nim’s Island was released as a Hollywood feature film starring Jodie Foster, Abigail Breslin and Gerard Butler; Return to Nim’s Island, based on Nim at Sea and starring Bindi Irwin as Nim, followed in 2013. The third in the series, Rescue on Nim’s Island, was published in 2014 and is in development as a film. A Nim’s Island television series is also in development. In 1985, I had two small children, a partnership on a farm with my husband, and I was working four days a week as a paediatric occupational therapist. One day in November, as another OT and I crossed the road to go out to lunch, she said, “Did I tell you I’ve written a book?” I thought to myself, “I’ve always said I’m going to do that. When am I going to do it?” It was such a life-changing moment that the image of that pedestrian crossing is still firmly fixed in my mind! I was doing a post-graduate course at the time, and sent the last assignment off on Christmas Eve. We went away for Christmas, came back on New Year’s Day and I started writing. I didn’t know what I wanted to write, and just experimented with all sorts of things for the first ten months. 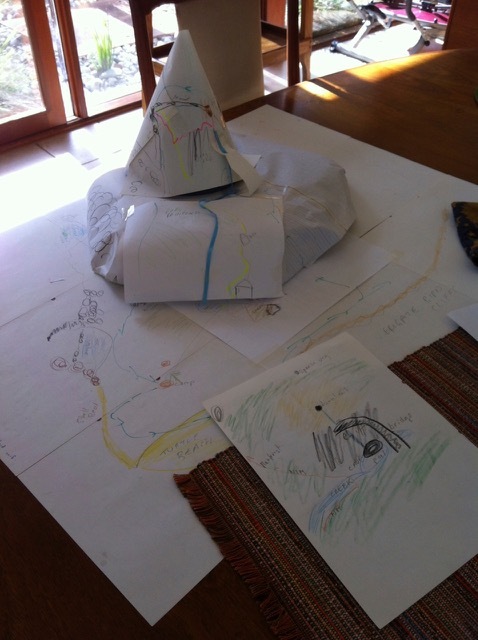 However in November I saw a Scholastic competition for an unpublished picture book manuscript. I loved picture books and was still reading them to my children, so I threw myself into writing Amanda’s Dinosaur, which won the prize of publication. Three months later I finally got the ending right…and it was published in June 1988. My next book is entirely different to anything I’ve done before and won’t be out till July 2016, but my most recent Australian book is Rescue on Nim’s Island, published in July 2014. 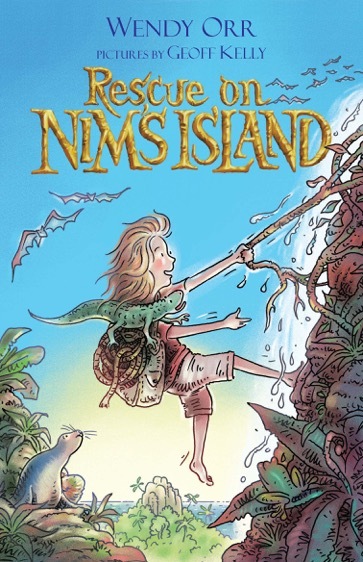 People sometimes seem to think that a sequel would have been easy, but it was quite challenging tying in all the different strands of the very different stories of Nim at Sea and the film based on it, Return to Nim’s Island! However, as always, once I started the actual writing, I loved the way Nim took over and I was able to work in my usual way, which tends to be more intuitive than structured in early drafts. The problem is that although Nim may dictate what happens, I’m the one who has to write it, so it still took two years of work! 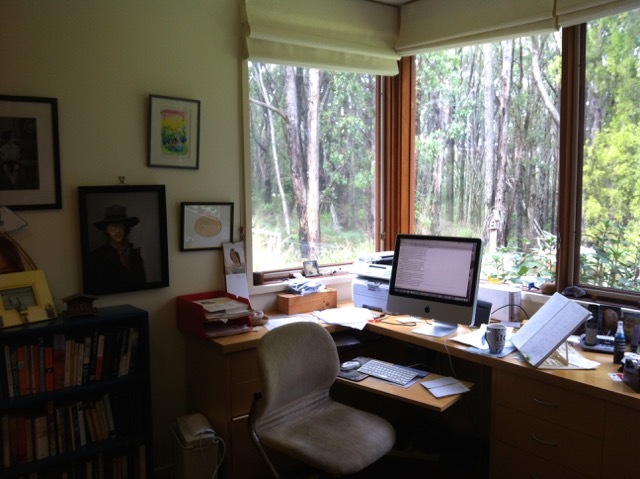 I have an office in our house, looking out at the bush. 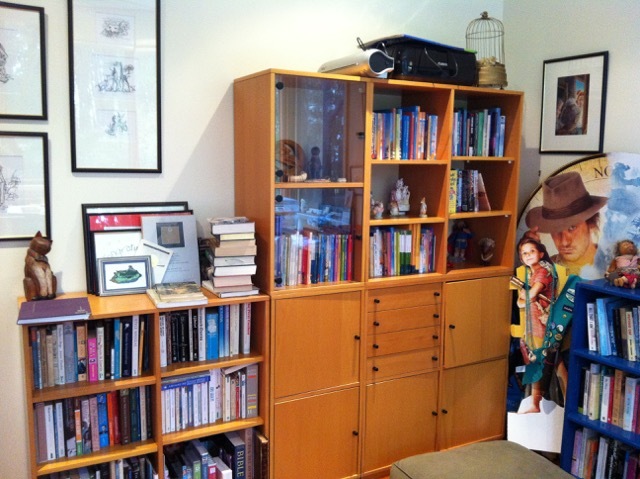 It’s lined with bookshelves and lots of writing memorabilia – art from my books, awards, film props, and some lovely things that young readers have sent me, as well as some things from my own childhood and my children’s. Anything that makes me feel good! I’m very boring: I like writing at my desk, in my office. And I like to be there working properly by 10, after urgent emails and dog walks, and try to wind up about 4 to walk the dog again, but usually go back for another hour or so later. That’s Monday to Friday, and my rule for weekends is I can write if I really want to, but I prefer to catch up on paperwork, fan mail and questionnaires, etc – or actually take the time off! I usually hold a story at the back of my mind for a few years before I start writing it. The first seed of inspiration can be a character or incident, but is probably most often location, which very quickly gives birth to the character. As the character becomes clearer, so does the plot. Odd things add to it until it’s got a general shape. When the story is ready to be started, and its turn in the queue works out, I ask myself and my character a lot of questions. Depending on the complexity of the world and the book, I may fill up a lot of notebooks with thoughts and/or research. 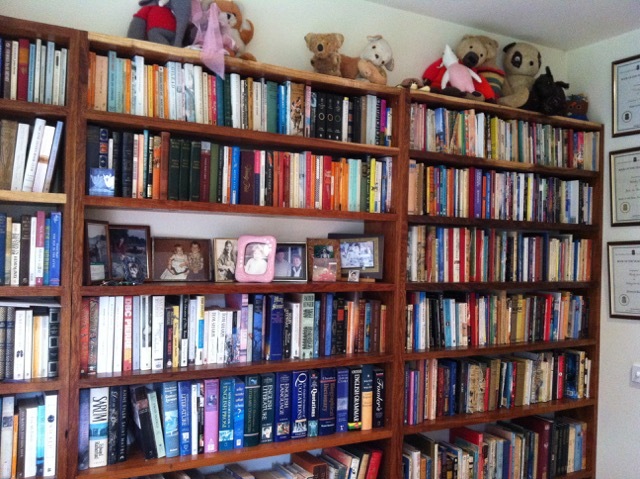 (The notes for my adult novel, The House at Evelyn’s Pond, stretched to a metre of shelving. Much of it, of course, was entirely irrelevant to the story in the end, but I couldn’t know until I wrote it!) I try to write the first draft right through without going back and editing something I’ve had a later insight into – and the closer the deadline, the stricter I am about that rule. When the first draft is finished I read it right through, trying to ignore fiddly problems and making notes on the bigger, structural issues. If I see a clumsy paragraph I often just put a squiggle in the margin to look at later. Sometimes my editor may comment at this stage, or I may do another draft or two before I show her. In later drafts I read the whole thing aloud and sometimes record it so I can listen to it more objectively. And when it seems as perfect as it can be and goes to copyedit, I discover that I’ve missed a lot more ridiculous mistakes! I tend to do between eight and 20 drafts; some books have been put aside for several years and returned to…it’s all fairly fluid! I love living in the story. It’s lovely when readers, whether adults or children, respond positively, and I’ve had some wonderful experiences, between festivals in India and red carpets in Hollywood – but at heart, it’s a purely personal, selfish reason: I just want to find out what happens in the story and how it’s going to be shaped. Ideas are all around, everything that we do, see, hear, dream, fear or hope…the magical part is why some of them stick in the mind and become a story. I have no idea how that happens. I always wonder where writers are inspired, thanks for this, great study. I wish mine were as tidy although I do have a view, it’s not as pretty. Me and my Miss Nine love Wendy’s books. Very excited to learn of the new Nim book and film.